This helmet has Replaceable Li Batteries. Shade, Sensitivity and Delay are adjustable. This has regular size viewing area of 98 X 43mm. 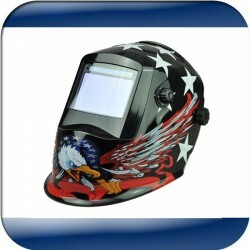 This helmet has larger viewing area of 100 X 49mm, Replaceable Li Batteries. Shade, Sensitivity and Delay are adjustable. 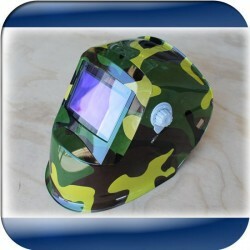 This helmet has larger viewing area of 100 X 49mm, Grinding Switch and Replaceable Li Batteries. Shade, Sensitivity and Delay are adjustable. 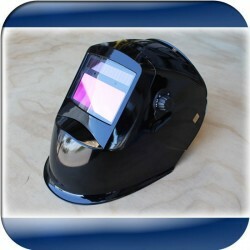 This helmet has extra large viewing area of 100 X 68mm, Replaceable Li Batteries. Shade, Sensitivity and Delay are adjustable.